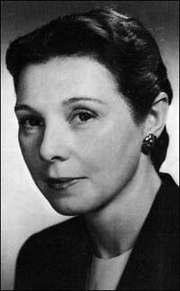 Sydney Taylor was the pen name of Sarah Brenner, who was born in New York City to Orthodox Jewish immigrant parents. Her popular stories and children's books are based on life on the Lower East Side in her own large family with 4 sisters and 3 brothers. As a young woman, she became involved in the performing arts, acting on stage with the Lenox Hill Players and dancing with Martha Graham's modern dance company. In 1925, she married Ralph Taylor and had a daughter. All-of-a-Kind Family was published in 1951 after it won a contest sponsored by Follett Publishing. Sydney Taylor's books were the first to reach a large, mainstream audience with a depiction of American Jewish children in realistic situations. In addition to the five novels that comprised the All-of-a-Kind Family series, she also wrote several other children's books and short stories. She often toured schools and libraries around the country, talking to children about her work. Sydney Taylor is currently considered a "single author." If one or more works are by a distinct, homonymous authors, go ahead and split the author. Sydney Taylor is composed of 4 names. You can examine and separate out names.